Hang tag string - Schröder Polska Sp. zo.o. Seals are made in micro-injection technique of solid PVC. They are intended for clothing manufacturers as an identification seal: with hot stamp logo or universal ( without logo). They perform a function as a visual advertisement and protect against content violations. 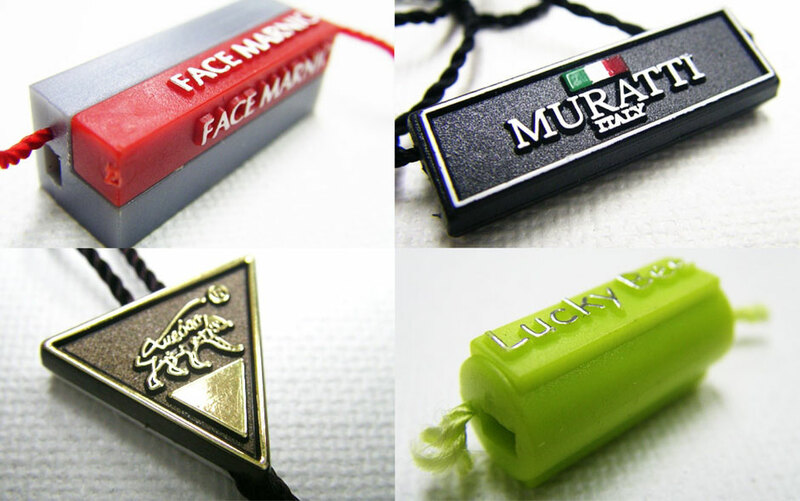 We are able to produce seals of any size and shape. There is availabe a wide range of colours.